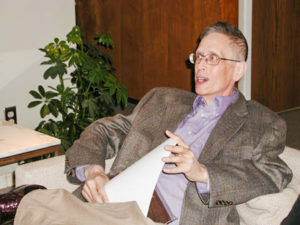 Over the course of his distinguished career, Gruber served as an officer of MOAAUP and as a member of the National Council of AAUP. In 2005 he received the AAUP’s Tracey Award for his long years of service to a state conference. In honor of this formidable MOAAUP past-president, who died 3 August 2005, MOAAUP gives this annual award to an AAUP member who has done exemplary work to promote the values of AAUP in our state.